Bonnie is a humorist who started her writing career working on the school newspaper in junior high back before middle school was invented. As an adult, her writing turned more towards encouraging women through the old-school media of newsletters, which were typed on a typewriter, put in envelopes, and sealed with a stamp before mysteriously appearing in the metal box at the end of a driveway. She was just waiting for the blog format to be discovered. Currently she writes a humor blog which is geared toward adults but definitely is not “adult” humor. Her first novel is available on Amazon in paperback and Kindle. While it is geared toward middle-grade children, it will find an audience with their parents as well. 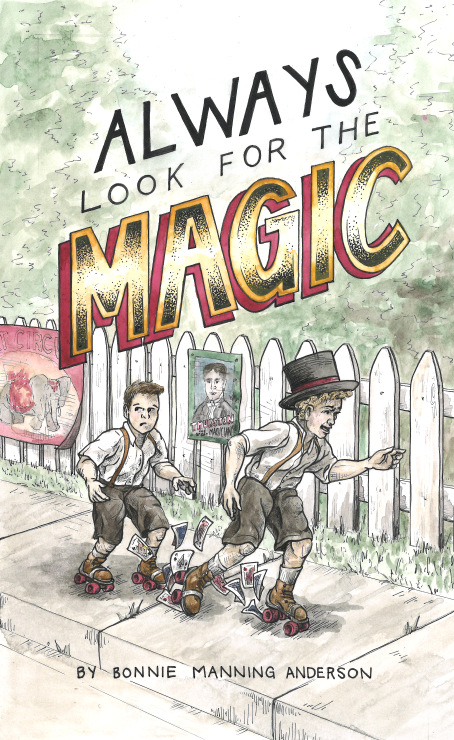 Artie knows that an unusual gift from his teacher can only mean one thing; his dream of becoming a magician is certain to come true. Why else would she give a top hat to an 11-year-old boy? With his brother Tommy, neighbor Pauline, and Maggie the dressmaker dummy by his side, things are finally looking up, until life around him gets weird. His parents refuse to admit that anything is wrong, but a mysterious knock on the door reveals that Artie's greatest fear has come true. They can call it anything they want, even put whipped cream and a cherry on top of it, but there's no way Artie can see this trouble in the midst of The Great Depression as an adventure. Or is it? Could what looks like the worst thing for Artie really be the key that unlocks his future as a magician? Why Did Bonnie Write Always Look for the Magic? 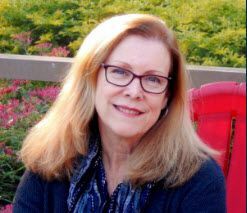 Meet Bonnie Manning Anderson and hear how she came to write her first novel. It will enrich your reading to discover the amazing heart of a woman born to write. And laugh!